This is not quite the post I expected to put up today, but I’d started so I’ll finish, as they say. Earlier this year I posted about Grunting Growler, the growler station opened in Glasgow’s West End by Chicago native Jehad Hatu. Happily he had a good residency at the Bike Station with the hipsters of Kelvingrove flocking in. A second guest spot in up-and-coming Dennistoun followed at Dennistoun BBQ where the food is excellent (if you’re not yet fed up of barbeque), but didn’t last as long as hoped. Jehad’s latest venture is in the unused space of the former Halt Bar, which is scheduled to become West on the Corner in the New Year. The old Halt had two distinct rooms, one the pub and the other for music events. 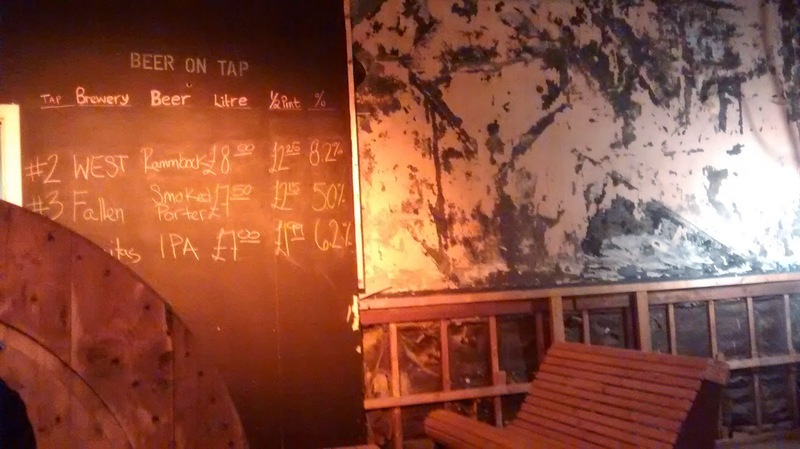 Itself operating as a “pop-up” until they get around to refurbishing it, West are in the pub and Grunting Growler is operating in the former music venue. This must surely be the first pop-up within another pop-up. 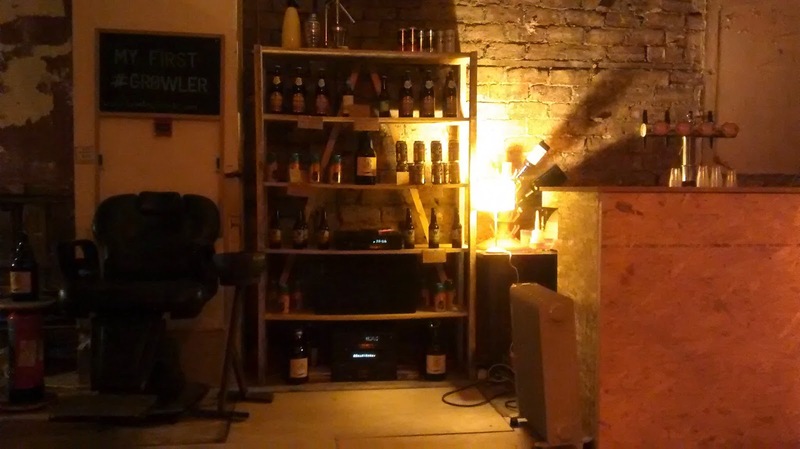 It’s a nice space and is the closest Glasgow has yet got to the vibe of the railway-arch taprooms of East London, without any of the pretentiousness (actually, the East London places themselves are not pretentious either – that comes from the hype they get in the mainstream press). But you’ve missed your chance. As I heard yesterday, building work has started earlier than expected and the popup is already over. That’s the risk involved in attaching yourself to someone else’s project, I suppose. Hopefully Jehad will find another space soon.